I think you'll love these ideas for thrifty, handmade gifts that you can create with very little skill and time, using materials you probably already have in your home. These make perfect last minute holiday or hostess gifts. Yeah, everybody poops, but if you don't feel like broadcasting your bowel movements to the world (or even those on the other side of the door), try this recipe for DIY Poop Secret. Poop Secret is a totally natural spray that goes directly into the toilet before you go. 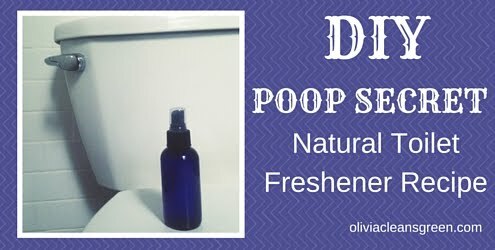 It creates a powerful barrier of wonderful smelling essential oils that envelop your poops, and their associated stink, as they land in the toilet water. Before you go thinking I'm a genius, I didn't invent this spray. It's based on Poo-Pourri Before-You-Go Toilet Spray. Okay guys, here's the recipe. Now you can eat all the collard greens and flax seeds you want. Keep some in your purse and you'll be the best studio apartment guest or tiny office mate ever! Are your hands rough, dry, and chapped from washing dishes? Mine are! Is the cold, windy weather making things worse? Absolutely! That's why I mixed up this batch of healing rosemary lemon salt scrub. 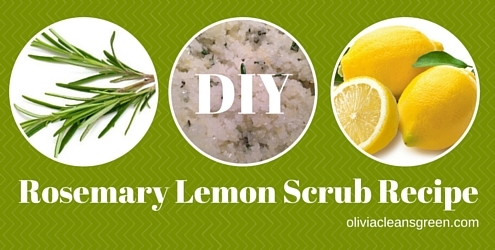 I use it a few times daily to exfoliate, moisturize, and heal my hands naturally. Here's the recipe so you can mix up a batch too. You probably already have most of the ingredients in your kitchen. Keep some near your sink so that you remember to use it.